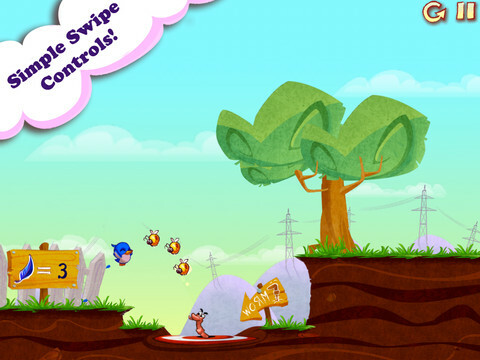 The early bird gets the worm, so make sure to download this fun, free game ASAP! Perfect for preschoolers, Early Bird HD is today’s Free App of the Day. The # 1 free game in over 25 countries… more than 8 million users can’t be wrong – Early Bird is a SMASH HIT! Help the Early Bird catch the worm! But be careful, challenges await as you flutter through 144 amazing levels. Discover beautiful landscapes & earn achievements as you swipe your way to success in this incredible action puzzle game.